The creative industry is changing. Traditional business models are no longer profitable.Instead, the world has become digital. These developments have changed the communication landscape. New media brings opportunities to address the audience directly and more personally. As a company in the music business, we believe it is necessary that the industry has to respond to this changing environment. Tunebase is an innovative system for content management and distribution, online marketing and much more, designed specifically for the creative industry. It enables effective communication, easy distribution, full integration and options for analysis, offering a one-stop solution which enables you to serve your customer in the most effective way! With Tunebase all meta data of albums, concerts and programmes can be managed. For example, for each track, composers, performers and all other relevant data can be added and the ISRC administration can be done automatically. When adding concerts, soloists can be linked across whichever platforms/modules you choose. The soloists can be separately saved with their biography. Linking subjects and persons enables efficient work and makes them easily findable on your website. Data only needs to be entered once. You can easily link everything, like an album and an artist to a newsletter, review or concert. With Tunebase you create the collective memory of your organisation. 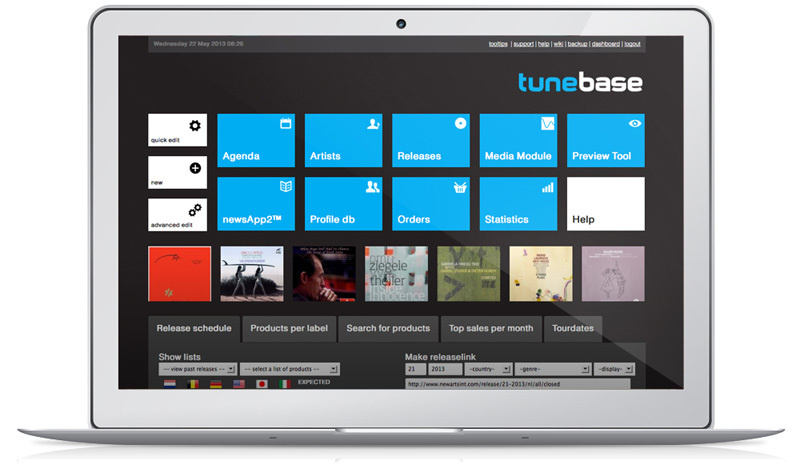 Tunebase is designed as a source of all your content and activity. It can export content to digital platforms, copyright organisations and other sales systems with just a few clicks. Critically, Tunebase can share content quickly and easily make it available for different platforms. To be able to quickly respond to current events, all data needs to be easily accessible from the system. With just a few clicks you can create an EPK (electronic press kit) which can be delivered to the mailboxes of the most important press within five minutes. Sharing biographies, putting quotes on social media and making newsletters is very easy with our system. Afterwards, the results of these activities will be registered and can easily be monitored in the systems. In order to satisfy the needs of the customer, it is important to get to know them. Based on orders in your webshop, your customer database is automatically being enriched. That way, you can give tags to concerts and albums and add these information tags to the customers profile. 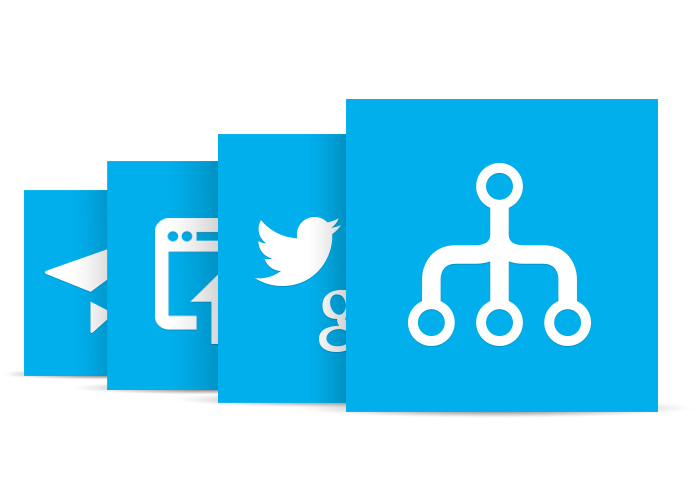 With these tags, you can make a smart selection of your customer database to send mailings to. It also possible to select on geographical data. You can even enrich your customer database with data from Facebook and websites of related artists. How many people have read my mailing? Did my Facebook ‘Likes’ increase after an advert or marketing campaign? Those are questions which can be answered by the statistics module. Tunebase generates statistics of your mailings, social media, website visits and even your Wikipedia page views. There is also a possibility to create graphs and make notes, in order to explain peaks and troughs. In that way, you will be able to monitor your marketing efforts. your customers in the most efficient way. In a changing market it is necessary that a system is able to respond in the right way to the dynamics of the evolving consumer world. This is one of the main goals for its DNA and software. In short, with Tunebase you choose for the future, whatever that may be! Tunebase does not put any restrictions on the design of your website, app or intranet. You can decide on the look and position of different elements in the front end. One of our designers makes sure it fits your wishes, needs and corporate identity. Whether you want responsive templates or a design which is tablet proof in technique and usability, we can serve your needs. Tunebase is a modular system which enables optimal flexibility for its users. The system can be adapted according to your specific needs. In the set-up phase, you can decide upon the modules that fit your needs.